Must-See: Holiday Gift Guide 2011! Looking for a gift for a friend, sister, mother, wife, or even yourself (yes, there is nothing wrong with buying yourself gifts this time of year!)? Check out our suggestions for that perfect gift in our holiday gift guide. From fleece tops to headbands, and slippers to hoodies, we have gifts that everyone will love. Is your best friend an avid skier? 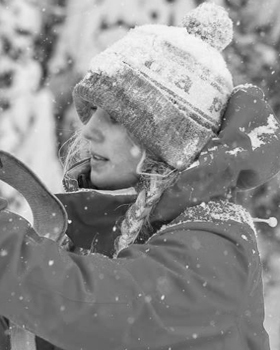 Get her the Spyder Women’s Traverse Gore-Tex Mitt. Is your girlfriend a city girl? Get her the Obermeyer Kassidy Down Sweater. There’s time to shop online and still get your gifts to your loved ones on time.